I’m not entirely sure how or why we have yet to post about the new Kessil LED pendants, but hey, better late than never, right? 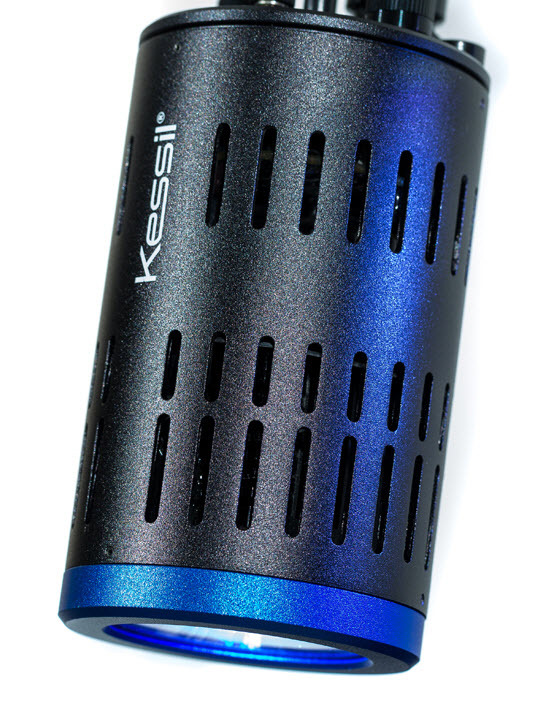 A few months ago, Kessil debuted the follow-up to their immensly popoular A150, the A160we. Where the A150 models had plenty of power and an awesome spectrum, they were a bit lacking in the functionality department. Sure, you could manually dim or brighten the light, but pampered aquarists prefer not to have to touch dials and knobs, opting for something a bit more tech friendly instead. We’re not saying the A150 was incapable by any means. In fact, we have loved it and everything else Kessil has created thus far, with the A160we just taking the line in bigger and better directions. Kessil first starting getting controller-friendly with the A360, and they’ve adapted that same technology onto the smaller form factor while also increasing the overall brightness from last generation to now. The A160 runs about 15% brighter than the A150. 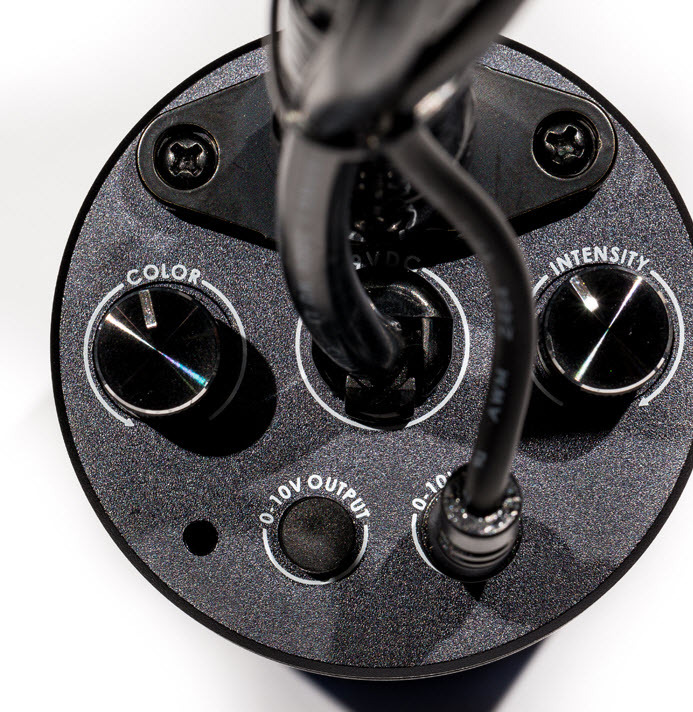 Getting back to the control aspect, the A160we features a pair of knobs that allow for the manual adjustment of both color and intensity, but we’ve pretty much covered that already. Where we are most excited is to see the same 0-10V ports that really give the Kessil pendants the most flexibility. These ports allow multiple A160we LEDs to be daisy chained together, or you coule even connect them with the A360. Expanding on these features, the input/output ports also allow the A160s to be hooked up to the Neptune Systems Apex controller and the lights are fully compatible with Kessil’s own Spectral Controller. Now this is where the A160 will dominate its predecessors. So much functionality in one tiny little light, and so much power to play with. The Kessil A160we will come in two models. The freshwater product is the Kessil A160we Tuna Sun. Not sure how tunas fit into the whole freshwater lighting scheme, but who cares, it’s just a name and we don’t focus on freshwater tanks anyways. The other model is the Kessil A160we Tuna Blue. It has a variable color temperature that ranges from 10000K to 20000K and its LEDs were carefully selected to be specifically used over a reef aquarium. Both models of the A160we are currently available here in the States, and that Tuna Blue would look awesome under a Christmas tree this year…hint hint. You cannot dim the A150. They are on / off only.